One weekend recently while staying at the lovely Hotel Los Castaños I asked resident owners Di & John where they would take family visiting for the first time and the incredible cave Pilate with paleolithic and neolithic cave paintings was one of the top choices - so we went. What a place, such a shame that no photos are allowed to be taken inside, we spent an incredible hour marvelling at the ornate, sculpture-like stalagtite and stalagmite formations and paintings. Really worth a visit when staying in the area near Ronda or at Los Castaños. 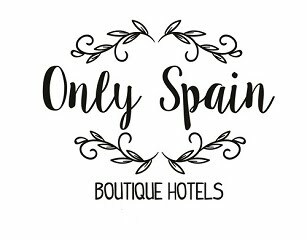 Hotel Los Castaños is in the small white village of Cartajima in the Serrania de Ronda mountains near the stunning town of Ronda in Malaga province. See more Monday Morning Photos.